Catch Alan Walker at our DJ Mag's Miami pool party on 21st March! Tickets here. Alan Walker's story is as remarkable as his name is not. British by birth but based in Norway since he was two, he's still only 20 but has just performed his latest hit single 'All Falls Down' with singer Noah Cyrus on The Tonight Show Starring Jimmy Fallon in the US. The single has been streamed more than 70 million times, while his debut - 2015's 'Faded' - has over 1.5 billion views on YouTube and topped year-end charts across Europe. His YouTube channel recently became the most subscribed portal in Norway, with more than 12 million followers, and it has more than 3.4 billion views in all. Alan was also ranked 17th in our latest Top 100 DJs poll (“which was insane, and one of the highlights of my year,” he says), and has clocked up hundreds of millions of streams for plenty of singles in between. It was only back in 2012 than Alan first started trying to produce. Initially he was fascinated by computers, programming and graphic design, and had no musical background whatsoever. It was only after he’d been seduced by hearing a song by Italian artist David Whistle that he, with a beautifully youthful naivety, reached out to the producer to ask how he’d done it, as his thoughts turned to beat-making. Soon taking inspiration from EDM producers K-391 and Ahrix and lm composers such as Hans Zimmer and Steve Jablonsky, he began messing around on Fruity Loops and, with the feedback of his earliest fans, he started posting music on YouTube and Soundcloud. Another of his more unusual experiences is appearing on YouTube channel, NoCopySounds. It was started by Billy Woodford while he was working on a construction site. After being burnt sharing video clips on YouTube of him and his mates playing Call Of Duty using tracks from some big established artists, his idea was to give copyright-free music a chance within the music community. Like many modern artists, that music mainly comes via streaming services and digitals sales sites. The problem with that is that often, artists feel they don’t get fairly recompensed. With numbers as impressive as his, Alan might well fall into their category. But rather than being bitter, he recognises that it is the modern way and that he must earn through other channels. For now, he will continue to clock up the air miles. After Miami, Coachella is on the horizon as well as plenty of new music. He might only be 20, but Alan Walker has already crammed a whole lot into his life. On the subject of nationality, Alan says he feels Norwegian, but that he feels a special connection when he plays in the UK, as he will do in London and Manchester on his upcoming European tour. It comes after a few months off at home, with family. Away from making music he likes playing video games and hanging with friends, as well as with his dog, Happy. But when you’re as famous as he is in Norway, it’s hard to even walk down the street. That might be part of the reason that, initially, Alan tried to remain anonymous and wear a mask in public, but he says he feels he’s managed to not let it affect him that much. “It has never been about me wanting to be anonymous or hide my identity,” he says. “The whole visual pro le is a way of saying that we are all the same and we are all equal. Anyone could be the person behind the mask and we can all achieve amazing things. Because I wear the mask when I perform, my face and looks are not necessarily something that people recognise as much.” Teenagers change and grow up quickly. Having emerged so young, Alan is mindful of the fact that he is always evolving, learning and changing his sound. “It’s quite fun to go back in time and check out demos and songs I made in the very beginning,” he laughs, before adding that he is keen to “maintain the signature elements of my music”. On getting his break with NCS, Alan says he is truly grateful for the platform and exposure. “It is a big part of my identity as both a musician and gamer, and helped to spread my music across the world via YouTube,” he says. Now he’s with a major label, he feels he still has the autonomy he needs. For now, he will continue to clock up the air miles. After Miami, Coachella is on the horizon as well as plenty of new music. 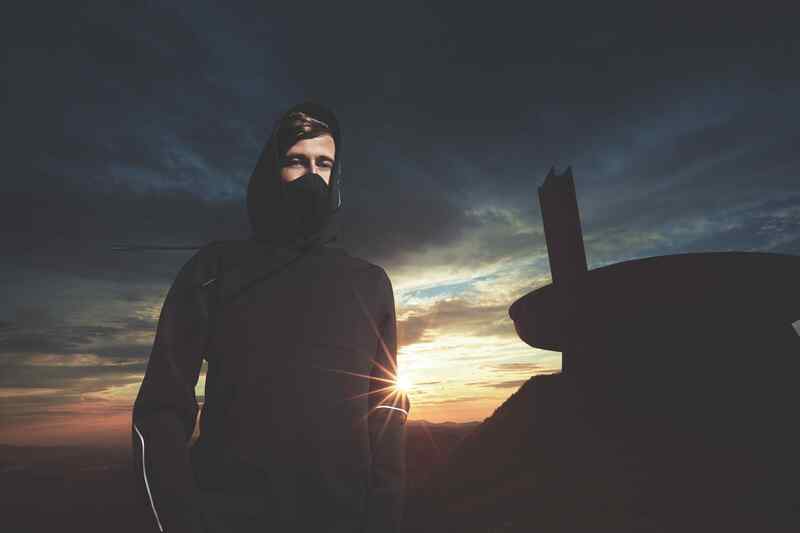 He might only be 20, but Alan Walker has already crammed a whole lot into his life.